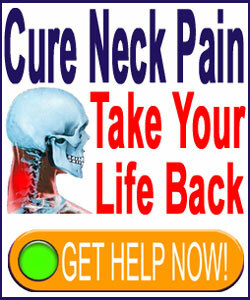 Meningitis neck pain is a potentially very serious cause of stiffness and discomfort in the cervical region. Meningitis describes an infection that results in the inflammation of the spinal membranes. These protective sacs encapsulate the brain and central neurological structures in a reservoir of cerebral spinal fluid. 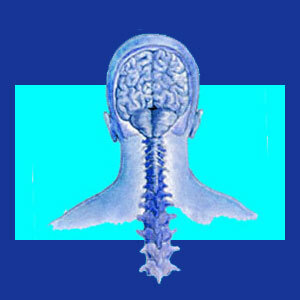 This fluid is the vehicle that allows the infectious process to affect such large areas of the brain and spine. However, it is the body’s immune response that actually causes inflammation during meningitis, rather than the infectious process itself. Meningitis can be caused by many different kinds of CSF contamination. Therefore, symptoms, diagnostic methods and treatments will vary greatly. However, most types of meningitis do present certain distinct symptoms in the neck. This essay details the usual symptomatic expressions of meningitis in the cervical spinal region, as well as provides an overview of the condition. Acute stiffness in the neck and discomfort at the base of the skull are typical of all forms of meningitis. This neck tightness is called nuchal rigidity and is virtually universal. Fever is almost always present and can become very high and damaging. Sleepiness, incoherence, light-sensitivity and noise-sensitivity are common for many patients to experience. Some patients demonstrate skin color variations or rashes, especially from particular varieties of meningitis infection. Patients may experience cold arms, legs, hands and feet. Some patients will lose circulation and might even suffer gangrene in the extremities. Patients might endure seizures or lapse in and out of consciousness. Viral meningitis is one of the least severe varieties and is caused by exposure to particular types of viral contaminants. Some of the most common viruses that cause meningitis are found in feces. Bacterial meningitis is usually one of the worst varieties and is caused by bacteria which enter the spinal membranes. Fungal meningitis rarely affects healthy people, but can prey on these with weak immune responses, given exposure to particular fungal agents. Parasitic meningitis is usually acquired from eating or drinking contaminated food and water sources that are typically found in underdeveloped countries. Noninfectious meningitis can be caused by cancer, lupus, some types of surgery or severe head trauma. The specific type of meningitis infection will determine the treatment that needs to be rendered. This is why proper diagnosis is vital. The exact types of contaminant must be ascertained as soon as possible, in order to save life and prevent the permanent damage that is so common to many forms of meninges infection. There are many reasons why a person could display similar or identical symptoms to meningitis, without suffering from such a serious health threat. Basic infections, such as influenza, can causes fevers and stiffness in the neck, as well as seizures and other similar symptoms. Just because neck pain and stiffness occur in conjunction with fever does not indicate meningitis, per se. However, it is always crucial to see a qualified medical care provider for diagnosis, if meningitis is even suspected. For patients who fear that they already have meningitis, due to symptoms, recent exposure, heightened risk factors or other specific reasons, time is of the essence in seeking care. The longer the infection continues unchecked, the greater the chances for lasting health complications to result. Of course, this is given the very survival of the patient, past the critical stages of the disease. For more information about preventing, diagnosing or treating meningitis, please consult with your physician or seek care from a hospital emergency room, if symptoms are already present.